When Papercut Patterns released their Geo collection a few months back I didn't know which pattern to buy first! All six are gorgeous, contemporary styles and feature interesting shapes and pattern cutting. I'd already planned what handmade additions I wanted to make to my holiday wardrobe, but I couldn't resist adding a couple of these to to queue. 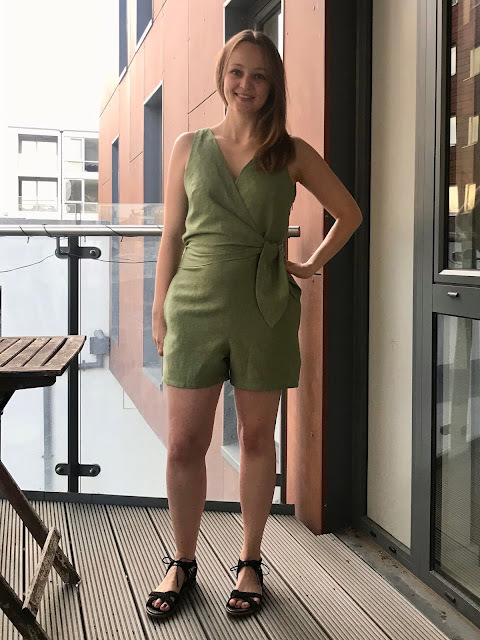 First up the Sierra Jumpsuit which I made the short version of but can also be made with full length trousers.